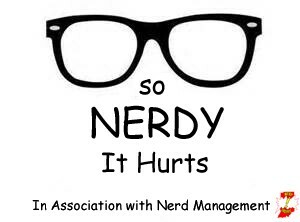 So Nerdy it Hurts is making a comeback this year in 2019, with a revamped format and other features that will be revealed in the coming weeks. I really look forward to getting back into the swing of things. What a way to use his Inhuman powers! All he has to do is pick up the phone and charge you 19.99$ per minute and he is printing money. With powers like these his phone will be ringing off of the hook. That is if the gov’t will let him walk away from his current job of preventing crimes before they happen Minority Report Style in the pages of the Marvel Summer Event Civil War 2. Most of the times the psychics are full of crap, except for Miss Cleo obs, but Ulysses is the real deal. Just ask She Hulk and War Machine… oh wait you can’t. Yikes! Better late than never I guess. Well if he can bust away from his current job he would make a killing working the hotlines just call 1-877-Wut-Cud-B.